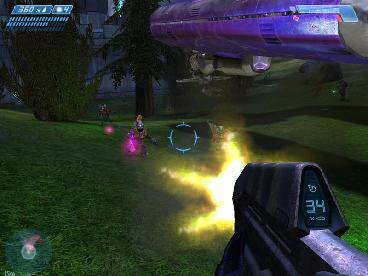 The Halo series is one of the most beloved video game franchises of all time, the series is often said to be revolutionary and a marvel to modern gaming. 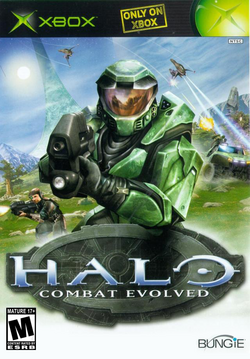 I played the original Halo when it first got released and my 8 year old mind was blown away at how amazing the experience was, but does it still hold up today 14 years later compared to the newer entries of the series? Halo’s plot is very heavily story driven, so I am going to explain the basic plot with as very little spoilers as possible. A UNSC Space Craft called the Pillar of Autumn is heading home after the effects of the battle of Reach (A game I will get too some other day). 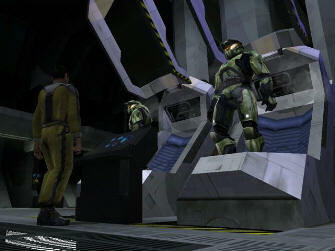 During the lengthy journey home a very large ring called a Halo is discovered, shortly after the discovery the Pillar of Autumn is attacked by a religious Alien Race known as the Covenent, when the ship is about to be taken over Captain Keyes (Commander of the Pillar of Autumn) orders the games protagonist the Master Chief to protect Cortana who is some very realistic Artificial Intelligence that holds information on the UNSC and the location of many hidden planets including Earth. 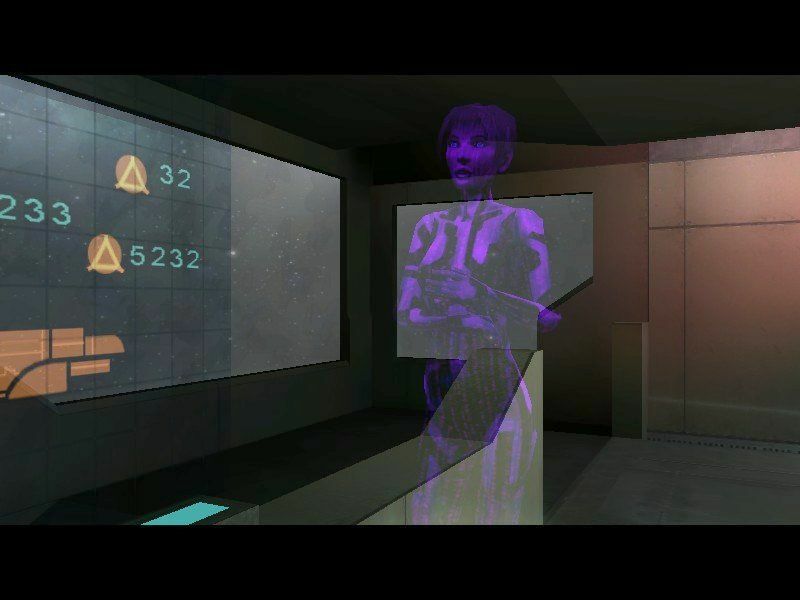 The Master Chief and Cortana escape the Pillar of Autumn but unfortunately Captain Keyes gets kidnapped by the Covenant, this changes Master Chiefs escape plan to a search and rescue which sparks the rest of the events in the game. 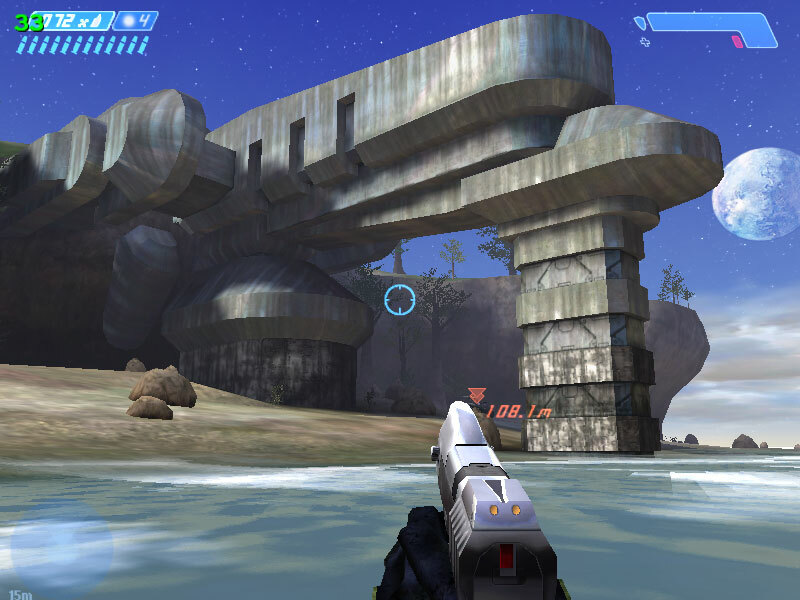 Halo is a first person shooter which for me is usually when I realise that I wont like the game as I have never really been a huge fan of this game play style. Don’t get me wrong the game play is fantastic as it controls and feels really good but there really isn’t much that makes the game play feel any different too most other first person shooters with the only major differences being that it takes place in space and you are killing Aliens. 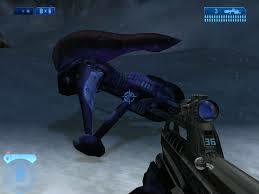 You spend the majority of the game on foot blasting the Covenant with an array of weapons including the famous Pulse Rifle which has been a staple to the series from the very beginning, personally as much as I love this weapon I would say switch for a shotgun as soon as you can because trust me later on you will meet another form of enemy which are very vulnerable to the shotgun bullets, for your secondary weapon I recommend that you find your self a Sniper Rifle so that you can take out most enemies from a distance before getting into a real battle (This is mostly for those play on the higher difficulty settings) the sniper is also in my opinion the best weapon to use on the more powerful and better protected enemies such as Elites and Hunters, you will also be armed with some frag grenades and some plasma grenades (Sticky grenades). 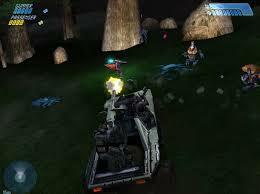 When your not on foot you will either be riding, driving, or shooting from some sort of vehicle, Halo offers a wide range of vehicles that you can use to your advantage, the most common you will see in this game will be Warthogs which are the main transport used for the Marines of the UNSC, another UNSC vehicle is the Tank which I highly recommend if you are lucky enough to find one. 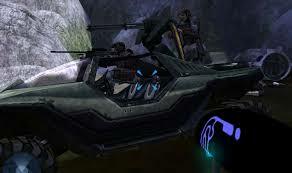 The covenant also use vehicles which you can high-jack, the most common Covenant vehicle you will find is the Ghost which is a small hover craft type vehicle which is armed with a fairly powerful laser cannon, you will also see Banshees from time to time these are the same as ghosts but they have the advantage of flight so they can prove to be very useful, Wraiths are another type of vehicle you will come across every now and again, Wraiths are the Covenant’s version of the Tank. Graphically the game is a bit disappointing, now before anyone comes to murder me please hear me out ! !, the graphical design of the game is absolutely mind blowing and for the time not many games could compete with the efforts of game design that Bungie (Game Devs) put into this game, but generally for a game that got released in 2001 everything looks a little bit pix-elated which is not a massive issue but it is quite disappointing when comparing it to other games that got released the same year such as Fusion Frenzy and 007 Agent under fire. on the other hand the soundtrack is absolutely amazing, at this point I gather that most of you are familiar with the main theme song for Halo, if you are you will be pleased to know that the theme song plays a hell of a lot in this game. The rest of the music is still very good, its very orchestral and really is a wonderful experience for players to enjoy, it holds fantastic artistic values and is perfectly conducted to suit the games premise. Overall Halo: Combat Evolved is a fantastic game that I highly recommend to any fans of First Person Shooters or fans of SCI-FI in general, it’s the beginning of a fantastic story, the game control smoothly and plays at a fun and fluent pace, the only complaint I have is the not so great graphics for a game that came out in 2001, I highly recommend playing the 360 remake Combat Evolved Anniversary because of this.